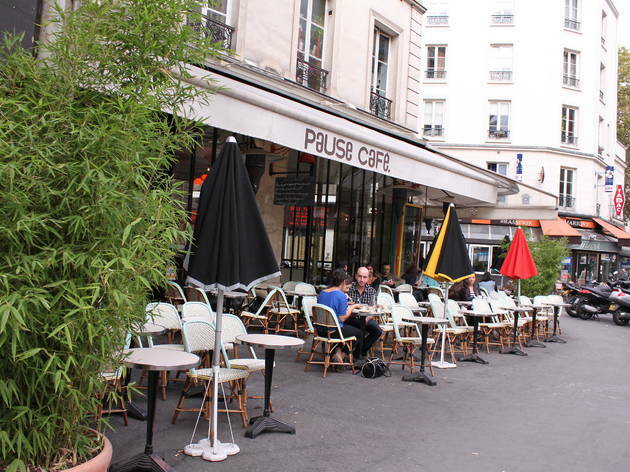 Featured in Cedric Klapisch's 1996 film Chacun Cherche son Chat, which was shot on location in the neighbourhood, the Pause Café has managed to prolong its moment of glory thanks to its large terrace on the corner of rues Charonne and Keller. Inside, the modern salons benefit from a smattering of primary colours with ornately plastered ceilings and plenty of light. Having been immortalised on celluloid, the friendly staff occasionally let fame go to their heads: service can be excruciatingly slow at times. 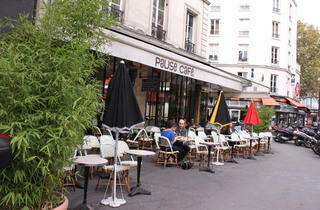 The food - French café fare with an Asian twist - is not bad, but you might be waiting for a while; best to order a well-mixed cocktail to pass the time.